On 7th September, 1962, St Edward's School, at Sherfield English, near Romsey was formally certified as an Approved School for Roman Catholic boys. 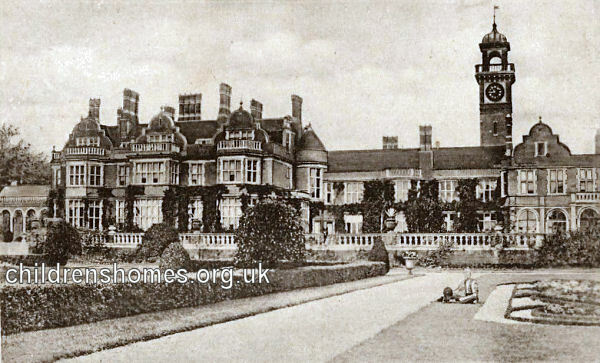 The premises, a large house known as Melchet Court, could accommodate up to 100 Intermediate Boys, aged between their 13th and 15th birthdays at their date of admission. In 1973, the School became a Community Home with Education (CHE) run in conjunction with Hampshire County Council. The site is now home to St Edward's special school, providing care and education for boys who experience behavioural, emotional and social difficulties. No records noted at present for this establishment — any information welcome. The Therapeutic Care Journal — has a number of articles relating to Approved Schools.